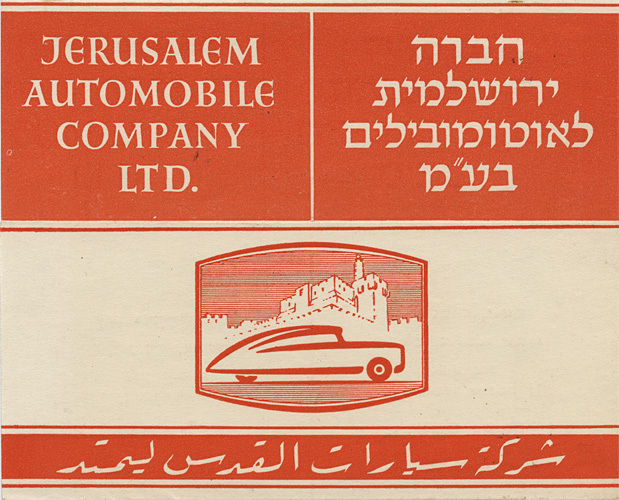 Three commercial graphics made between 1932 and 1952. 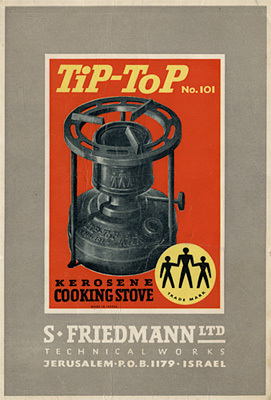 Tip-Top Kerosene Cooking Stove. Approximately 23 cm x 34 cm. 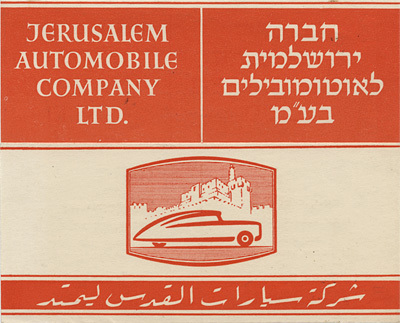 Jerusalem Automobile Company, Ltd. Approximately 13 cm. x 10.5 cm. 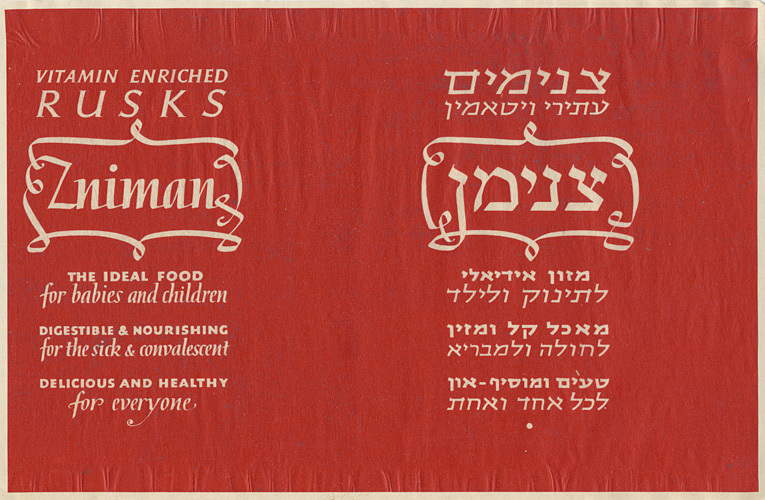 Znimann Rusks. Approximately 23 cm. 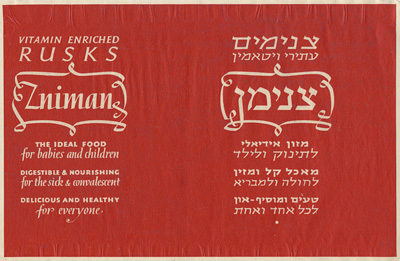 x 15 cm.